Edition of 50 copies, each is hand-numbered inside the booklet. Each copy comes with a 'Mothball Record' sticker. 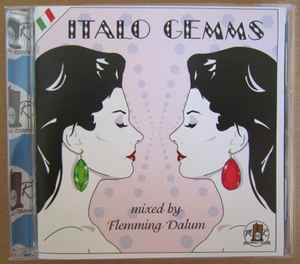 Another great mix from FD with some Italo NG tracks including the wonderful "Ah Ah Ah" and four Andy Romano's apparently unreleased titles. Just one question: Riccardo Campa's title (track#6) is supposed to have been released in 2014 and this mix came into being in 2011. Any glitch here or time travel?